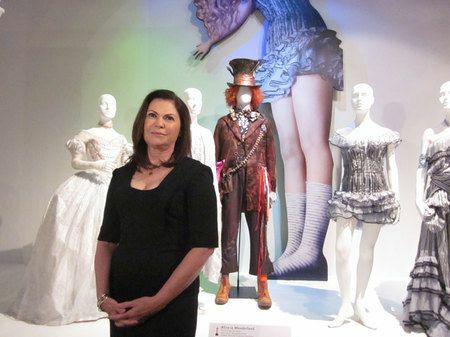 Academy Award-winning costume designer Colleen Atwood (Alice in Wonderland) puts her amazing vision and expert craftsmanship to work bringing to life the characters of Snow White and the Huntsman and presenting them to modern audiences through astonishingly intricate and carefully assembled designs. In a film where symbolism is crucial to the story and wardrobe is integral, Atwood’s contributions blend seamlessly into a world that’s both fantastical and realistic and speaks volumes about the characters. 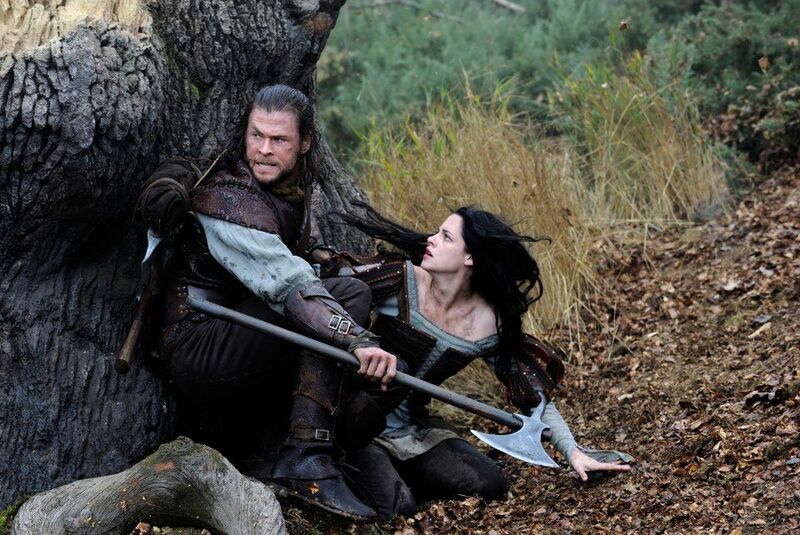 We sat down with Atwood at a roundtable interview to talk Snow White and the Huntsman and why it was an amazing treat for her to design costumes that reflected the themes of the iconic story and helped the actors transition into the world of their characters. She also discussed her upcoming film, The Thin Man, directed by Rob Marshall and starring Johnny Depp. Hit the jump to read our interview. Surrounded by a gallery of the costumes she designed for the film, the visionary designer told us about her collaboration with Charlize Theron and Kristen Stewart, what distinguished her work on this film from her award-winning contributions to other films, and how she took a concept and made it work physically without compromising the design so that the costumes could accommodate the action and evolve with the story. Atwood began her career as a costume designer on Michael Apted’s Firstborn, which starred Sarah Jessica Parker and Robert Downey, Jr. While living in New York, Atwood was able to collaborate with Jonathan Demme on Married to the Mob, The Silence of the Lambs, Philadelphia and Beloved. In the late 1980s, Atwood moved to Los Angeles and began her first collaboration with Tim Burton on Edward Scissorhands and continued working with him on Ed Wood, Mars Attacks!, Sleepy Hollow, Big Fish, Sweeney Todd The Demon Barber of Fleet Street, Alice in Wonderland and, most recently, Dark Shadows. She has also collaborated with Rob Marshall on Chicago, Memoirs of a Geisha and Nine. Atwood has been nominated for nine Academy Awards, with three wins for Chicago, Memoirs of a Geisha and Alice in Wonderland. 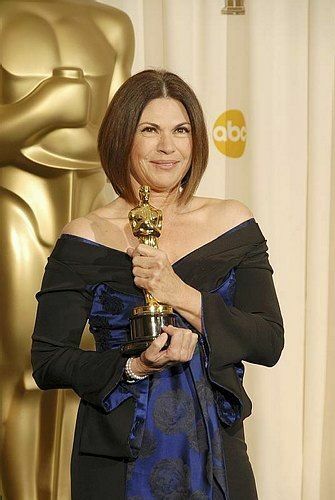 Additionally, she has been nominated for more than 50 awards for achievements in costume design. Question: How do you make an action hero costume for a woman? What kind of material do you use? Colleen Atwood: It depends on the woman and what you’re doing, I’d say. 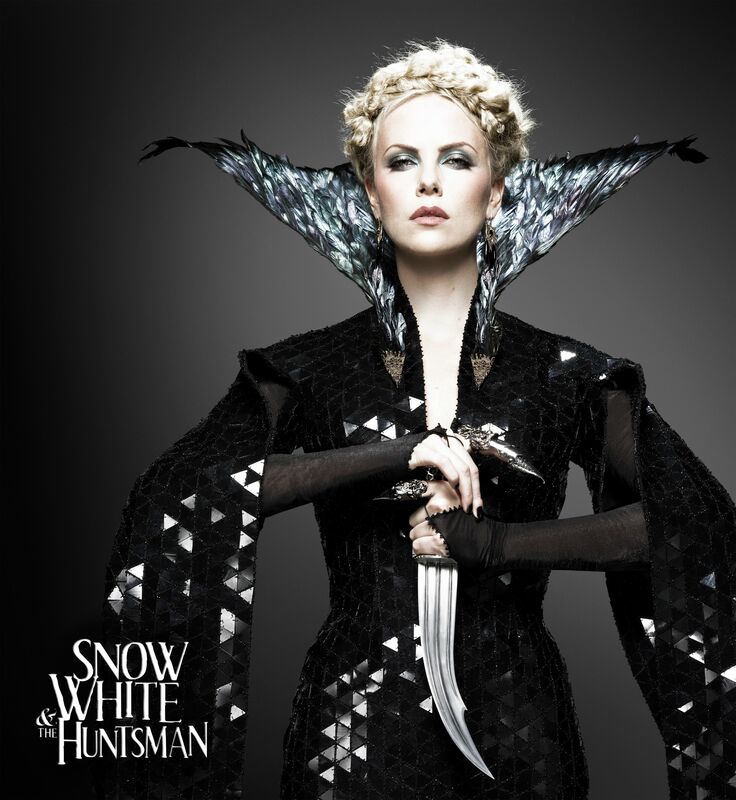 For this particular movie, Snow White is hardly an action hero but she does a lot of action in a feminine costume. We started with her dress. At the beginning of the story, it’s a long dress over leggings with the two layers and the same kind of boots. The idea is that it was the look that I created for the servants in Ravenna’s castle where she’s imprisoned. So, she’s been given clothes to match the housemaids’ poorer clothes. Hers has a little bit of a royal touch because I put the gold on it just because I liked it. When she leaves the castle, she leaves through a duct. She goes down through water so the costume is totally wet. She comes out of it in the ocean. So, you have this costume but with a long dress and a long leather cloak over it coming out of the water. 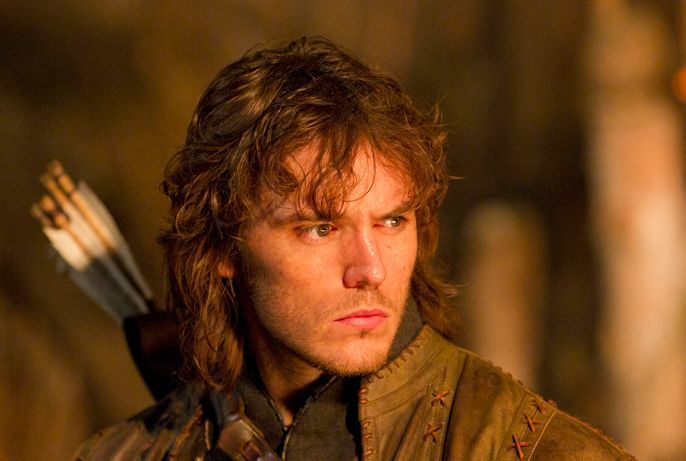 It dries off and then the Huntsman finds her. At that point in the story, after they start running through the forest, he realizes this thing is crazy, so he takes his knife and cuts the bottom and we lose that. You end up with a shorter tunic, the leggings and the boots. I knew that was going to happen in the story, so that was the way I backed into it. I put flat boots. I put legging so when she fell and stuff I didn’t have to worry about underwear showing. I made the costume out of materials that blended with the environment and that would hold up under the situations that I had to put the costume through. I made about 20 of those. When you’re doing that, you source the materials that you can find and that you can duplicate times twenty. Within the dress and within the underdress and within the pants, there’s all kinds of stretch panels that are hidden in seams so it’s totally flexible. You’re able to lift your arms over your head. You’re able to shoot a bow and arrow. You’re able to move in the costume which is very important for the actors. 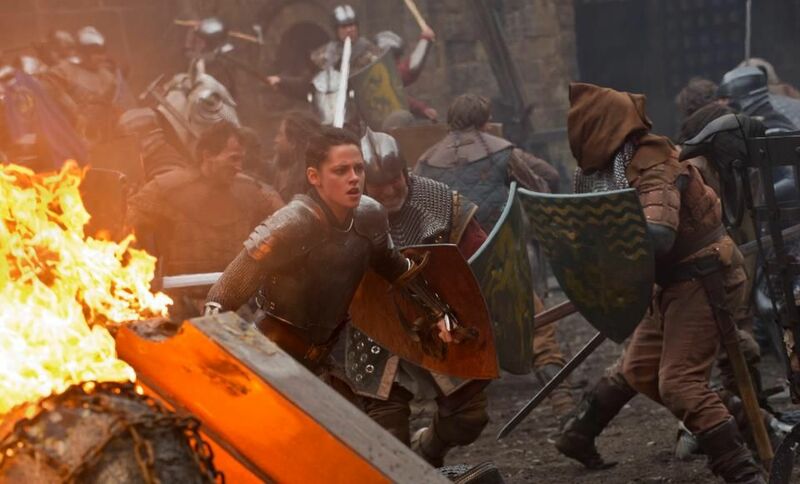 Kristen, who’s young and very fit, does most of the action herself, so it was very key that that costume physically worked for her to do the work in. I didn’t put high heels on her because it made no sense and it was appropriate to do the boots. That’s how that happened. I’d say the approach is, you take a concept and try not to compromise the design by making it work physically. At what point do you start collaborating with the director to come up with that vision? Atwood: The first meeting I have after I’ve read the script is with the director. I talk to him about what his vision of the movie is and what he’s thinking. This is a Snow White with a little bit of a dark edge to it, and I knew from the start that Rupert (director Rupert Sanders) wanted it. So, once I started doing my work, that was step one. How do balance trying to cater to the symbolism and also to the character as it progresses throughout the story? How do you make sure the costume speaks to both? Atwood: In this movie, there are more symbolic elements in Ravenna’s costume which go on a journey from lightness, which you see there in the beginning [where] she’s sort of this golden personage. But, there’s always an element of trapped death in her costumes, such as the skeletal cage around her shoulders in her wedding costume. The trim of her blue costume is made with beetle wings from Thailand which are beetles that they eat. Another of her costumes kind of speaks for itself. It’s got a reptilian quality. So her costumes progress from a lighter mood through a dark mood. The feather cape I knew in the beginning had to turn into birds so that was one of the first things we started with. The gold dress underneath was a dress that goes through a black slick and comes out black, and when it does, it almost looks like old skin. There are all kinds of elements that you incorporate in the textures as you go. There’s not a certain moment that’s a symbolic moment in this movie. It’s not that kind of movie. You said you made 20 of Snow White’s costume. For the other costumes and dresses, how many did you make? Atwood: Well we made 250 of the Warrior Costume. That one [Snow White] was 20. The Huntsman was about 15. The Wedding dress was a one off. There were three of the gold dress. There were two of the cape, one of which got totally oil slicked out. It looks cool but it’s kind of destroyed. It’s a one off because she wears it for a very short time in the movie. And there’s three of the Reptilian costume because it’s an action costume as well. All the pieces of that come off so you can shoot without the heavy skirt if you want it to be less weight. The shoulder pieces come off so that in between takes Charlize (Theron) can be comfortable in it but it’s also got stretch in it. That dress has huge stretch arm pits in it. There are all kinds of things like that incorporated into it if you know you’re going to [use it that way]. How many people does it take to dress her in some of these costumes? Atwood: Usually her dresser and myself. You have to make costumes like this fast to get in and out of because the actors don’t want to hang out in them and they definitely want to get out of them at the end of the day. Was it more challenging to make the costumes for Ravenna who is the most layered and complex character in this story? Atwood: It was a different challenge but I don’t know if it was more or less. Sometimes something that somebody wears the whole movie is a challenge because you have to make it so you aren’t sick of looking at it again and again. It’s two different things, I think. This is obviously a candy store and it’s hard to stop yourself sometimes. 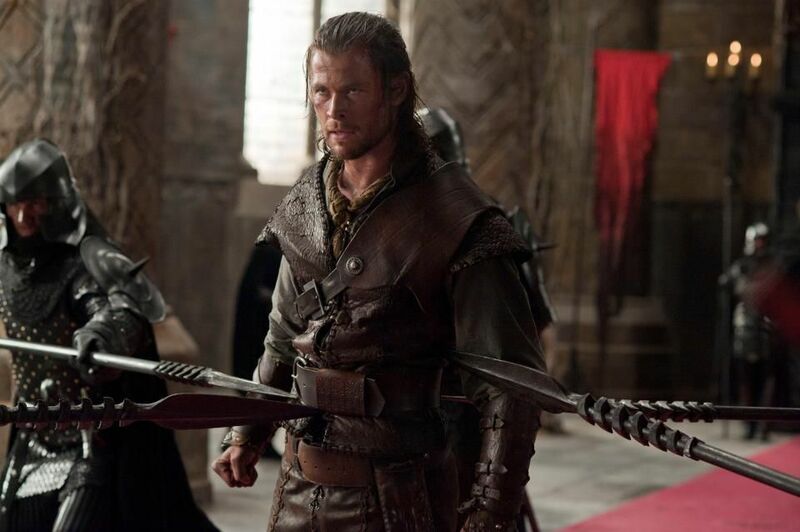 But there are also the dwarves in the movie and all kinds of things that were really different challenges. There’s court people, peasants, flashbacks to gypsies. It was an amazing treat for me to design. There’s so much in it. How closely do you follow fashion trends? Are you inspired by what’s going on in fashion when you work? Atwood: When I’m doing something like this, I really haven’t got a clue what’s going on in fashion, to tell you the truth. If I’m doing something contemporary, for sure I’m very aware of what’s going on. Personally, I like fashion trends, but when I’m doing a movie like this, it doesn’t affect what I do particularly at all. I don’t relate to it in that way. Have you ever thought of creating your own fashion brand? Atwood: I’ve thought about it. I’m very committed to this. The thing is, that’s a different kind of commitment, and without the right backing, it takes huge backing to do that. It hasn’t really been an option for me to do it. No one’s come and said “Oh, would you design a couture line for us?” I think they have a lot of raw talent out there that’s dying to just do that. You’ve done so many amazing films, were there special challenges with this one in particular that were different from the others? Atwood: I think that this film probably had more different layers of humanity on a fantasy level than anything I’ve ever done. How closely did you collaborate with Charlize and Kristen on their costumes? Atwood: Initially, the first meeting I have with them, we talk about the character and I show them my ideas and listen to theirs. They were both very open to letting me do my thing. And then, as long as they could work in it, they were pretty amenable and excited by what they saw. 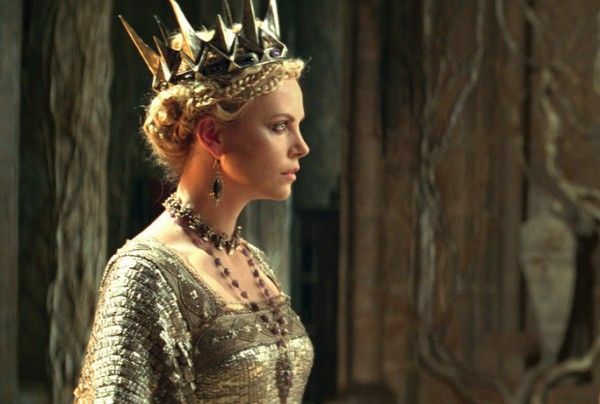 Charlize has certainly been a model, but she’s also a great character actress on the inside, so her priorities were really character over beauty, and Kristen’s [were] as well. Kristen is a beautiful young woman, but she isn’t vane in the way that she’s looking at the mirror going “Oh, do I look fat in this?” With neither one of them, that was not where they were going with it. They were very into their character. Kristen said in an interview that she loved that the sleeves were poofy but still really butch. Was that your intention to make even the feminine elements of the costume still have a super tough edge? 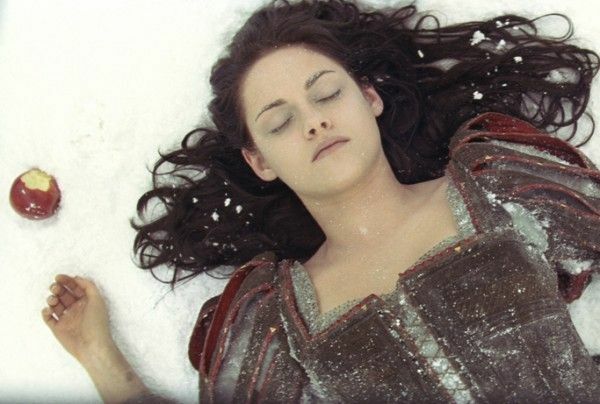 I read that you wanted Snow White’s costume to speak to Kristen’s age group. How did you go about doing that and why was it important? Atwood: I thought that it’s about the sense of young adults becoming women and becoming empowered in that way. I think that the way I did it was really the simplest way. It was like just ripping off that long skirt and getting those leggings on with the tunic over it and sort of that basic. Nothing too cerebral there. Do you design your own clothes? Atwood: There are so many great ones. I love seeing the late great Alexander McQueen and John Galliano from that generation who are two of the hugest imaginations out there. I like the classics. If I’m doing a 70s thing, I like Ossie Clark and Yves Saint Laurent. If I’m doing a 40s thing, I like Mainbocher and Dior. It depends on what I’m researching and what I’m doing. For contemporary fashion, I’m a huge fan of so many of the people out there. I think Azzedine Alaia holds up through three generations of very specific, beautiful design. I think Jean Paul Gaultier also is very interesting with a long span. Some of the new people out there that are doing fun, sportier lines, like the people doing The Row and that kind of stuff, are really doing fun stuff with a young edge that’s priced [to be] user friendly. In terms of your own costumes, which one are you most proud of in your career so far? Atwood: It’s kind of like children. I have a lot of favorites. I love Johnny (Depp). A lot of the stuff I’ve done for him stands out for me just because of the relationship and who he is. But then, you get to do a gown like that (referring to one of Queen Ravenna’s costumes), and you like that while you’re doing it. You have to have a big picture. I love some of Helena’s (Helena Bonham Carter) stuff from Sweeney Todd. I did a movie a long time ago called Beloved and I loved the stuff I did with that. It’s very low key, simple, poor. It’s a whole different vibe, but it was a great design challenge too with Oprah Winfrey, Thandie Newton and Kimberly Elise. Can you pick a favorite of all these costumes? Atwood: It changes all the time. I don’t have one that I like more than the others. They’re really different and that’s what is fun about it. For this film, did one of the costumes give you more trouble than the others? Atwood: Fabric-wise the blue dress was really difficult because the beetles were really, really hard and really brittle, so it took us a while to figure out how to drill through them and use them. They were really sharp too so you couldn’t have them in places where they rubbed against anyone’s body because they could really cut you. They’re that sharp on the points. And the materials were [challenging]. I took out a middle layer between the copper and the blue on the fabric so it was very tricky for the worker to manipulate. Luckily, it was a dress we knew we were going to shred so that part of it made it more fun. It just made it better. So, there are different things. This dress, just working out how it could all come apart and combining the materials, there’s all different things. If someone came to you with an unlimited budget and told you that you could design any fairytale you wanted to, do you have one in mind that you’d like to do? Atwood: No, I don’t particularly. I have different takes on things that I would like [to do], like different periods I haven’t done, but not a story per se. What period would you like to do that you haven’t done? 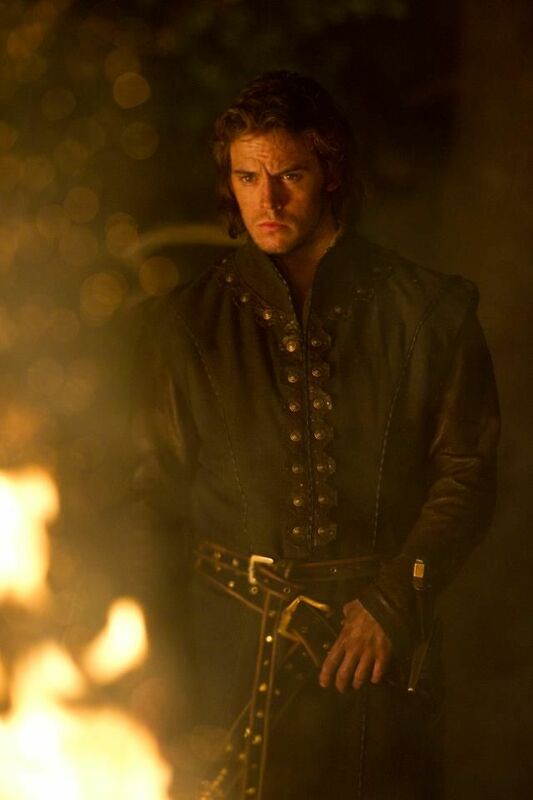 Atwood: I’ve never done anything that’s Tudor so I’d love to do that sort of thing. I love the idea of 15th century Venice that’s really mysterious and the Spanish Infanta period of clothing with those really heavily embroidered shaped outer space looking things and all those great paintings. How much did you look to the actresses and how they look for inspiration in designing the costumes? Atwood: I knew who was going to wear the costume, so you think about them as personas and what they want to do with their characters. I picked things that I thought would suit their character and their look. I picked brown and green suede because Kristen has green eyes and those two colors suited her complexion and hair color and eye color. With Charlize, the character dictated it more than her look. I mean, her look today is so amazing and stunning and that wasn’t what we were doing with it, so not so much. 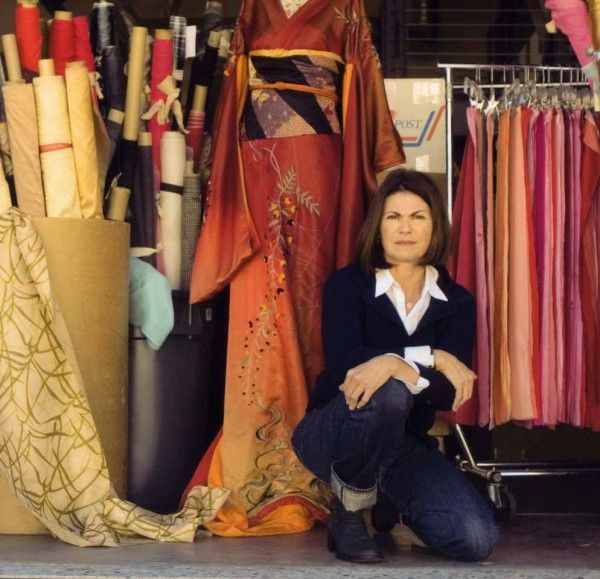 What happens to all of the costumes when you’re done after the movie is finished? Atwood: These costumes are owned by the studios. Rarely, but sometimes, actors have it in their contract that they get their costumes. But, in this case, the studio owns these costumes. These particular principal costumes, they have an archive that they keep them in and they preserve them. How do you get inspired? Where do you go to seek inspiration? Atwood: When you have to be inspired by this many things, to create these many costumes anywhere, it’s no specific place. It’s museums, libraries, fabric stores, everywhere. Do you ever get ‘costumer’s block’? Atwood: No, I think because there’s always something. We made over 2,000 costumes for this movie. I made a core of costumes for a crowd and gypsies. So, if you’re having a moment where you can’t figure out what you want to do with one thing, you just move over to something different, to the other book you’re writing, and you start thinking about that. I haven’t ever had that experience really with design. I always have a moment when I know I’m designing the last costume that gets made for a movie and it’s always been floating up there but it’s kind of the last one. That’s always probably the hardest one for me. How much is the story a part of your design process? Atwood: It’s just in your head all the time what you’re doing whether it’s the story or the dress. You’re driving down the street and suddenly you get an idea. It’s just floating in there like that. Sometimes you have dreams about the day or something like that. But, for the story, it’s just present and what you have left ahead of you to do and how things look that day that you reflect on. It’s just there until you’re done. Have you ever looked for inspiration at the individual fashion bloggers who are these young girls that have their takes on fashion? Atwood: No, never. I’m sure it’s out there, but I have assistants that use the internet a lot more than I do. I use the internet for photo research, but for me personally, probably just because of my age, I’m not that mechanically inclined. We have a lot of fairytales and ‘once upon a times’ that are out there or in development now, do you have a rule of thumb on how you approach a project that’s grounded in reality as far as costume design is concerned? Atwood: I think what’s fun about the fairytales is just seeing what everybody interprets them as, which comes from the different directors and what they want to do with them. It’ll be interesting to see what Maleficent is. I saw Mirror, Mirror and the great Eiko Ishioka designed it. I thought there was amazing stuff in it. I’m a huge fan of her work and who she represented as a designer. What advice would you give to young, aspiring costume designers? Atwood: Be really good with budgets because they keep getting smaller. Be able to take any job that gives you experience on a film. Don’t just think that you have to be in one department or the other, because through working on one and seeing what other people do in the movie makes you realize what your role is if you become a costume designer. Atwood: They’re on a book shelf in my little office space. I don’t carry them around. They’re not on the hood of my car. Atwood: My next project is The Thin Man which is a 30s film based on the old Thin Man series with William Powell and Myrna Loy. It’ll be fun. It’s with Rob Marshall and Johnny Depp. What could be better? 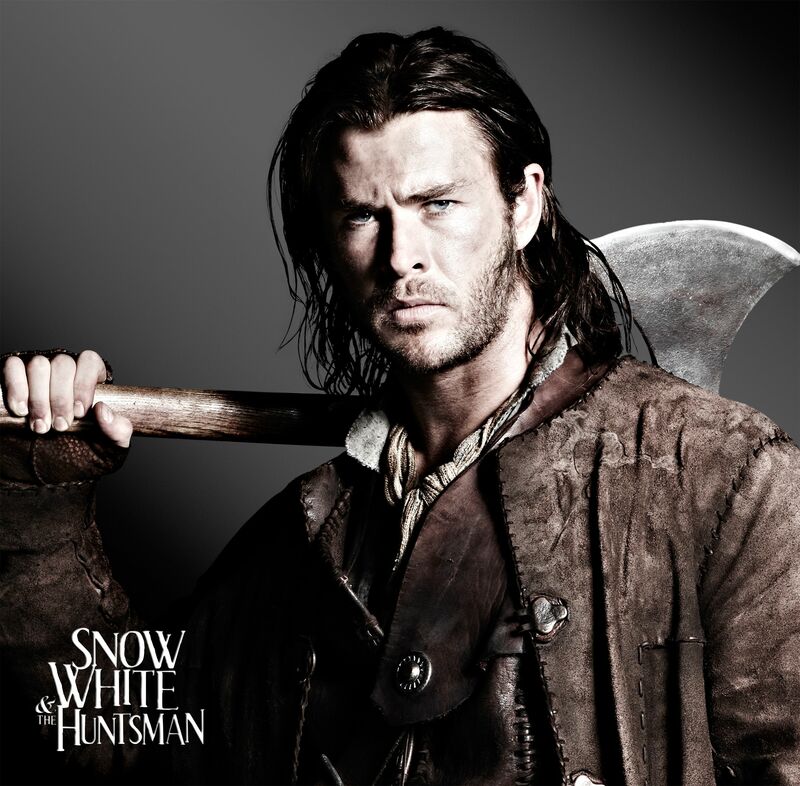 Snow White and the Huntsman opens in theaters on June 1st. Here’s some of the costumes that were on display at the press day.